Association for Robots in Architecture | ROB|ARCH 2016 – Registration is Open! ROB|ARCH 2016 – Registration is Open! We are thrilled to announce that the registration for Rob|Arch 2016 is now OPEN. Please REGISTER HERE or click the button below. 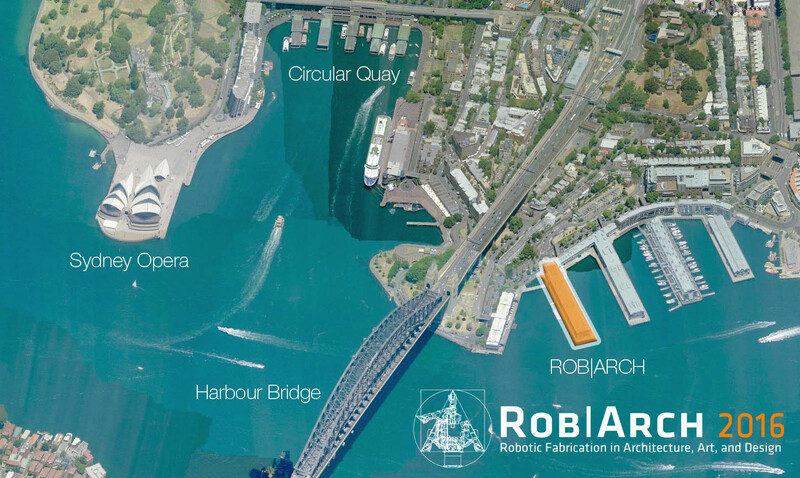 This year’s Rob|Arch will take place at the iconic Sydney bay in Australia and just like 2012 and 2014 feature a range of high-end, hands-on robot workshops by academia and industry. Workshop places are limited, so we encourage you to sign up soon! Reduced registration fees are available for members of the Association for Robots in Architecture and students (excluding PhD students).